8am we are ready to leave Woomera, the sun is shining but the air is cool. While driving I can feel the wind moving slightly our van. I’m a bit worried about driving in the middle of nowhere, knowing that for many kms there is nothing else but the road and the landscape. 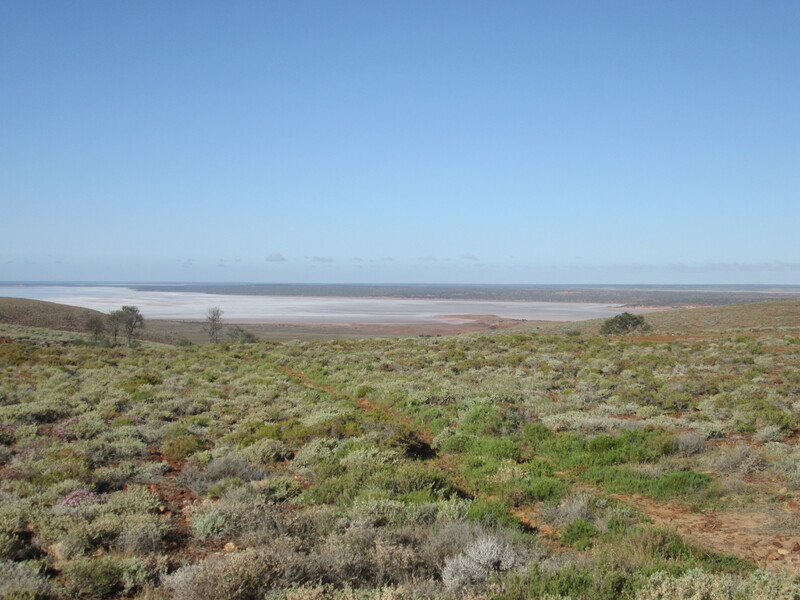 We find a few more salted lakes, they are so fascinating! After a couple of hours drive we stop at a roadhouse for a break. 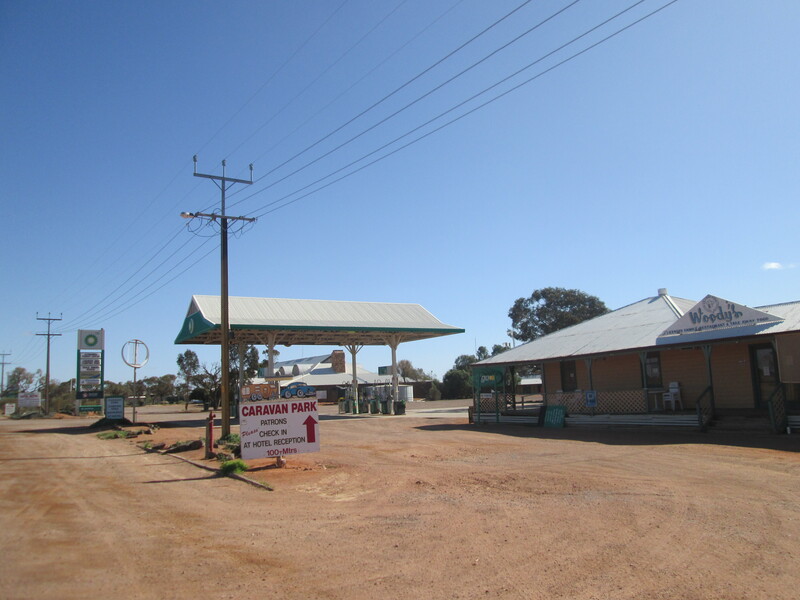 Here you can find the basic stuff for your needs: a petrol station, a pub, a motel. 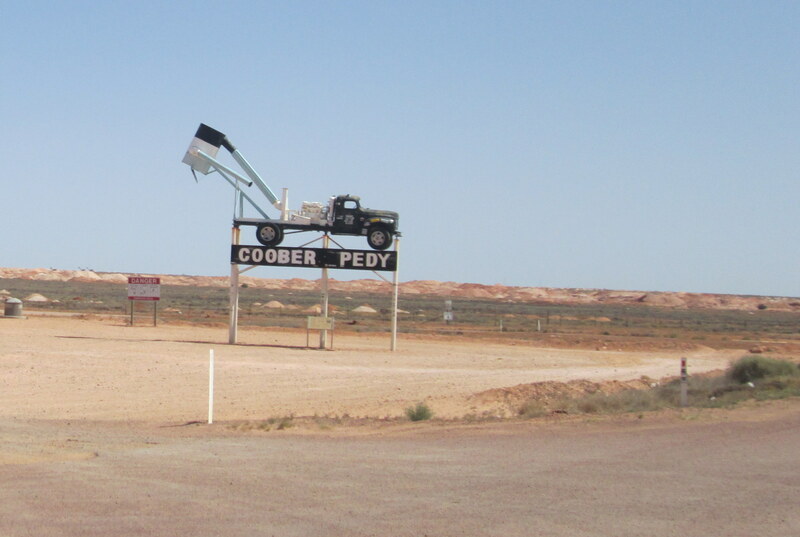 After a few more hours drive we finally spot a sign of Coober Pedy. 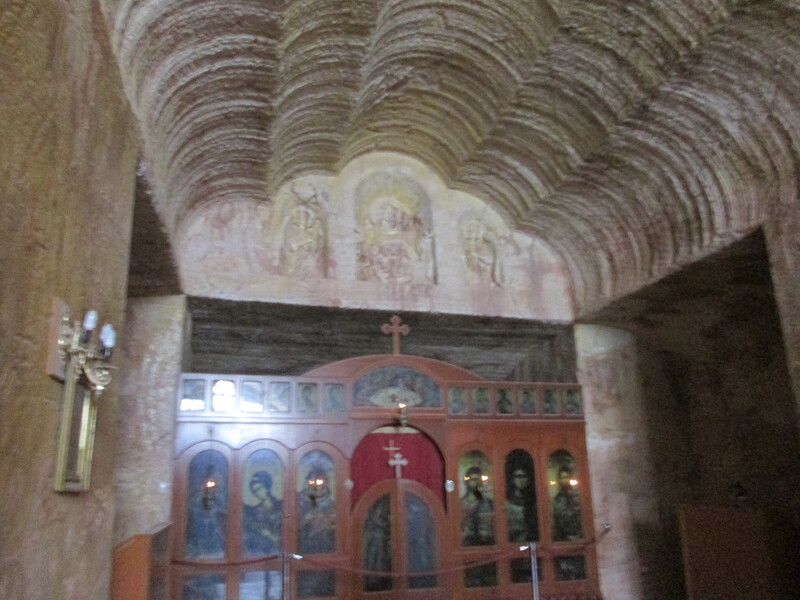 It’s very interesting seeing how people dug this place, it’s feels cool and safe, no humidity at all! 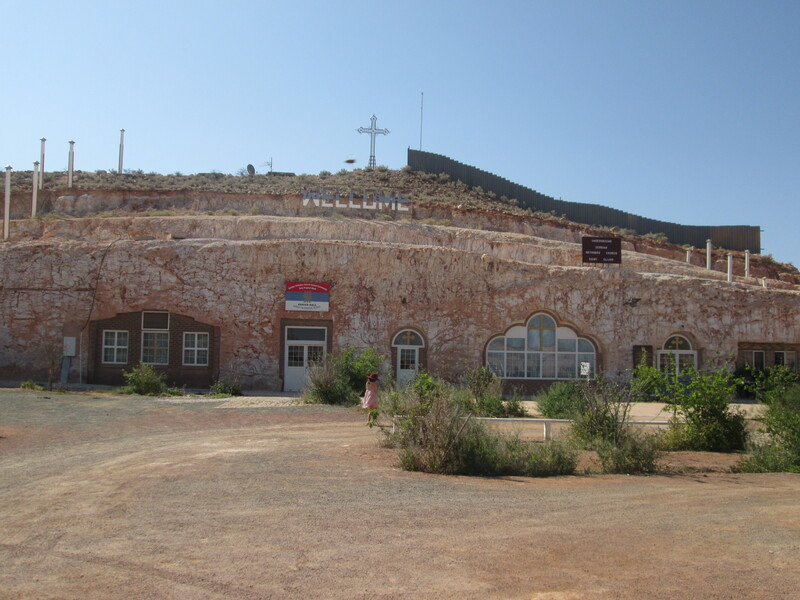 We also go for a tour in an opal mine. The guide explains us the history of this place, how they dig to find their luck and how people live underground as historically they wanted to sleep next to the place they were digging to protect it from thefts. 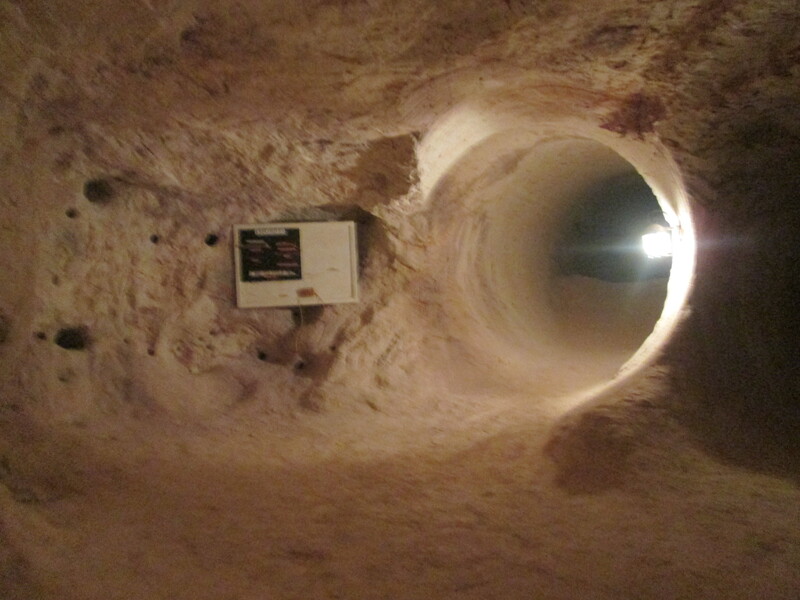 Now there are many underground houses in Coober Pedy as temperatures outside can vary from -3C in winter to 55C in summer while underground temperatures are stable at 21-24C all year round. We visit a modern underground house and I love it, so solid and simple, unbelievable. 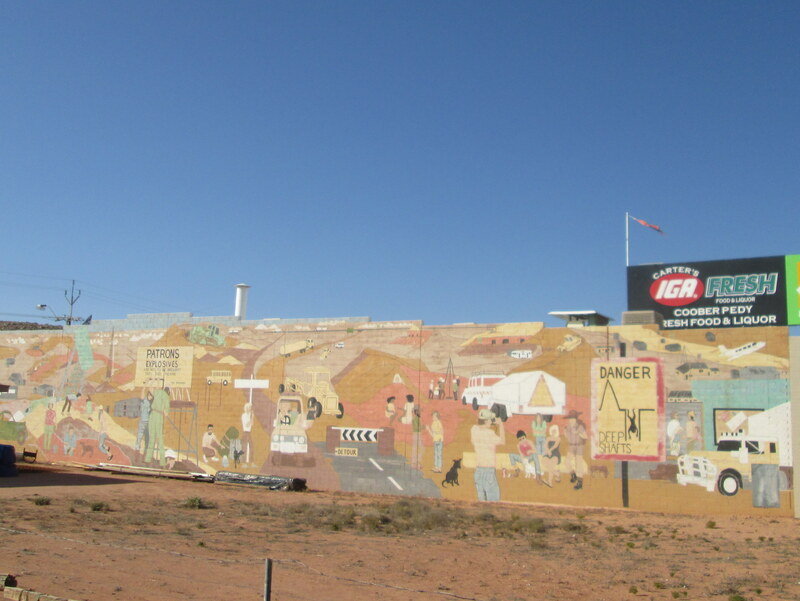 A huge mural tells the story of Coober Pedy, how people risks their lives to find the perfect opal and become millionaires! Very unique place Coober Pedy. Its name was given from aboriginal people and it means white man’s den. My most interesting game of golf was on the Coober Pedy golf course. You can imagine what it was like! ahaha, don’t tell me it was underground?! No, but there wasn’t one blade of grass anywhere!